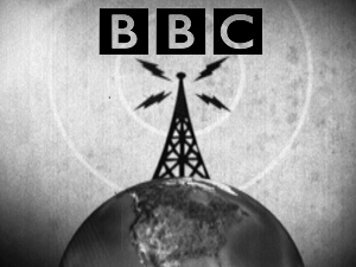 Home BBC Watch Time to end the BBC licence fee? You vote! Time to end the BBC licence fee? You vote! Is the BBC past its sell-by date? We think so at The Conservative Woman. For more than four years now we have reported on its failure to deliver on its core mission – that of an impartial news provider. Instead it behaves as a campaigning organisation, without so much as a ‘by your leave’ to the licence fee-payers, forced to fund it to watch TV at all. What’s more, it has no shame in using all the channels at its (generously funded) disposal to pursue its ever more dogmatically ‘progressive’ agenda. It matters not whether it is radio or TV, drama, news or sport, its diversity-obsessed Left-liberal default is plain for all to see. From climate change to so-called gender equality, from colonial guilt-tripping to rewriting history, from multiculturalism to anti-Brexit bias, the BBC’s default is the same – and entirely predictable. For all its claims to objectivity, for all its virtue-signalling, when it comes to its own arrogant pay practices and its greedy gender pay wars, it appears to have neither humility nor any respect for the public purse. It acts as judge and jury on matters of complaint which, however scrupulously evidenced and documented, as is the proven case with respect to its relentless Brexit bias on which News-watch holds a 19-year monitoring record, are either ignored or kicked down the line. The BBC, as David Keighley has frequently pointed out, always gets it right. Ofcom, peopled by yes-men like the BBC Trustees before it, seems to have no intention of cutting these grandees down to size. Its complaints system is a joke. Its pro forma replies rarely diverge from the line that ‘our editorial impartiality ruling is right because this is the BBC’s impartiality editorial ruling and we decide’. Which made us wonder just how far Sir Cliff Richard would have got had complaint been his only avenue of recourse and redress? Absolutely nowhere is the answer. Mr Justice Mann did not mince his words when he came to condemn the BBC’s news-gathering values in his ruling on Sir Cliff’s breach of privacy suit. It’s a withering judgement that can be read here. For once the BBC has been held to account. But will it act as a wake-up call? Will it puncture the BBC’s hubris bubble? We don’t think so. With ex-BBC factotum Robbie Gibb in place as Mrs May’s director of communications, we cannot see any pressure forthcoming from that direction. Which is why it is time for a petition to end the licence fee. But we need to hear your views first. Is it time to end the BBC’s licence fee? Next articleBoris’s resignation speech – did he flunk it?